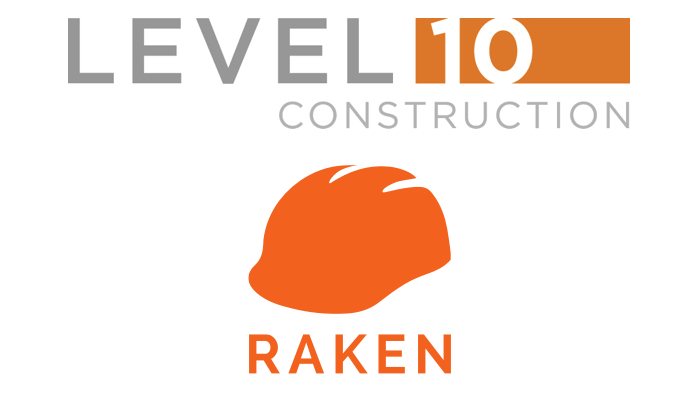 Raken is pleased to announce their partnership with Level 10, a high-profile general contracting firm. Level 10 Construction, one of California's largest general contracting firms, demonstrates their commitment to efficiency and innovation by utilizing Raken's cutting-edge construction technology to optimize their field reporting workflows such as daily reports, manpower tracking, and photo management. Through this partnership, Level 10 will capture the jobsite data necessary to continually improve their performance and consistently deliver their technically complex projects more easily and accurately. "Raken is focused on delivering fast, easy-to-use, mobile solutions for the construction field," said Raken CEO, Kyle Slager. "We're excited to work with Level 10 to do just that, empowering their field personnel with what they need for faster, more efficient workflows." Technology has a major part to play in running an effective organization, and we saw a huge opportunity with Raken," said Dominic Silvia, who leads Level 10's IT department. "Their focus on mobile is perfect for our Superintendents in the field, making it easy for them to capture important events and communicate them quickly. It's a game-changer for how we use field information in our decision making. Level 10 has always been at the forefront of adopting construction technology to empower their workforce, and through their partnership with Raken they bring this same focus to their field reporting. "The Superintendents using Raken all report increased compliance, especially with the Super Daily," said Jacob Freitas, Project Manager. "It takes the pain out of gathering reports from subcontractors, and we've noticed a marked improvement in not only their reporting but their morale as well." About Raken: Raken provides innovative mobile technology to streamline field workflows for construction workers. Raken's "digital toolbox" connects the field to the office with daily reports, time cards, project insights, photo management, and more. Clark Construction, AECOM, Skanska, Whiting-Turner, Hensel Phelps, and thousands of the world’s top construction companies use Raken to solve their field reporting needs. To find out more, visit www.rakenapp.com or call 866-438-0646.